Mold growth is notorious for the number of problems it can cause when it appears in residential and commercial settings. Not only can it result in significant damage to affected surfaces and structural components of your building, but it can lead to a number of health complications, as well. At Rainbow International Restoration of South & West Suburbs, we do everything in our power to prevent this from happening with our mold remediation services in Downers Grove, IL. Our specialists will locate all traces of mold on your property, eliminate them, and restore the property to a safe and sanitary condition. Each of our technicians at Rainbow International Restoration of South & West Suburbs has passed a background check and received extensive training to deal with any mold scenario. Once our mold remediation services are complete, we will bring in a third party to provide testing to ensure that the level of mold spores has been significantly reduced. We guarantee that your property will pass this clearance test after our mold remediation services are complete. 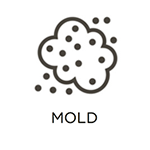 One of the biggest issues when it comes to mold is that it can grow in very diverse environments. All it really needs is a little bit of excess moisture which is why you should always check your property for moisture issues and do what you can to control the moisture level. 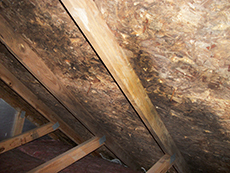 Mold can feed off of common building materials, such as wood and drywall, which is why it is such a serious problem. When mold takes hold, it can lead to deterioration, discoloration, and even permanent damage. 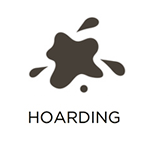 To make matters worse, it can spread with relative ease and affect other areas of your property. It is extremely important to have mold removed by an IICRC certified professional such as Rainbow International Restoration of South & West Suburbs instead of trying to remove it yourself. We begin with a thorough initial inspection to determine the extent of the damage and identify the source of the moisture. The moisture source must be repaired to prevent the mold growth from getting worse. We will then form a mold remediation plan based on our inspection of the damage. If mold growth is disturbed in any way, it will disperse its spores which can spread the mold growth to other areas of your property. We contain the mold to prevent it from spreading as we work. We filter the mold spores from the air using HEPA filtration machines. It is just as important to remove the mold spores from the air as it is to remove the contaminated materials. Permanently damaged materials and surfaces are removed from the property. Covering up the mold growth will only lead to future problems and attempting to remove it with bleach is ineffective. HEPA vacuuming is done before and after removal to filter the mold spores. 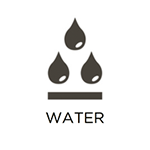 Nonporous surfaces and materials are cleaned and sanitized with antimicrobial sealants and cleaners. We provide effective drying services and suggest the best ways to manage the moisture level on your property to avoid future mold growth. 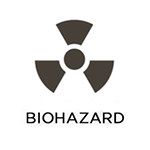 We will provide final testing through a third party once the mold remediation is complete to ensure that the mold spores have been reduced to safe levels. 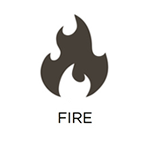 We guarantee that your property will pass this test after treatment. 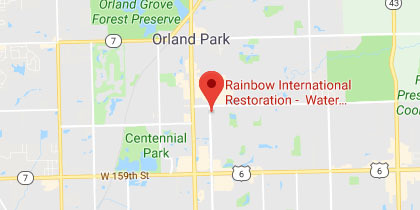 To utilize our mold remediation services, simply contact our Rainbow International Restoration of South & West Suburbs representatives at (630) 326-5667. We offer a price match guarantee in which we will meet or beat competitive proposals that are in line with the IICRC’s standard of care. We can also provide direct billing to bill your insurance provider if you have filed a claim. Our experts are among the best in the industry at what they do and are proud to service property owners in Downers Grove, IL.